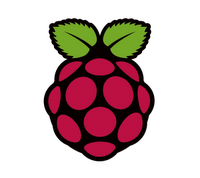 RAREblog: Qt developers - could you get a free Raspberry Pi? Qt developers - could you get a free Raspberry Pi? If you're a creative developer with experience of the Qt cross-platform framework, you just might get a free Raspberry Pi Linux-based microcomputer courtesy of Nokia. (If you're unfamiliar with this credit-card sized wonder, this video will give you a great introduction). Nokia are looking for people who will port software, develop apps, and test and improve the Qt 5 Linux stack. They are so keen that they have funded 400 vouchers for Raspberry Pi. If you have a visible track record as a Qt developer, and a good idea for a relevant project, head off here to find out how to apply for a voucher. Last time I looked there were 65 applications for those 400 vouchers, so hurry along!